Representing the phonic and sound structure of words. The charts can be utilised for the purpose of display or as flash cards. Each set, extends phonic knowledge, whilst highlighting the sound structure and the vocabulary nature of the words. Writing is supported when students have access to environmental print, which consolidates concepts covered. This product is also available in eBook format here. Note: This publication can be opened in full. 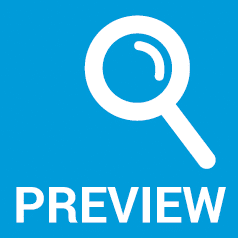 Step 1: Hover over the thumbnail of the cover. Step 2: When VIEW appears, double click. Step 3: Scroll through and view the entire publication. This publication is mentioned within the ‘Whole School Literacy Strategy’ booklet on pages 5-8. 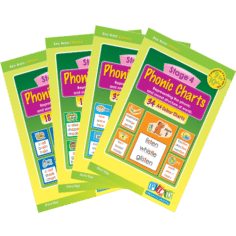 The set of charts can be used for display or flash cards. 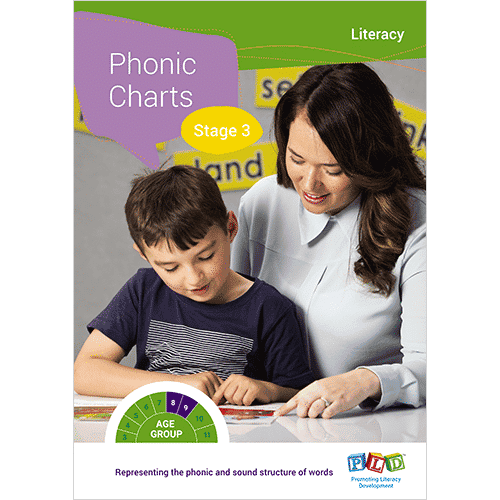 Each chart highlights the underlying phonic and sound structure contained within the words. 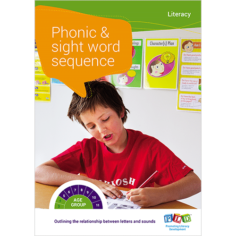 Synthetic phonics, vocabulary and writing activities. Outlining the relationship between letters and sounds. 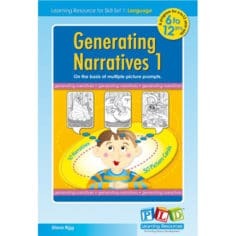 A resource for helping children to start expressing themselves verbally and in writing on the basis of multiple picture prompts. 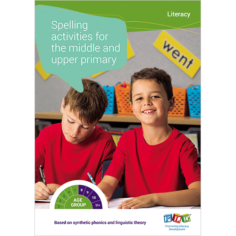 Expressing and developing ideas - Spelling - Understand how to use sound-letter relationships and knowledge of spelling rules, compound words, prefixes, suffixes, morphemes and less common letter combinations, for example 'tion'.